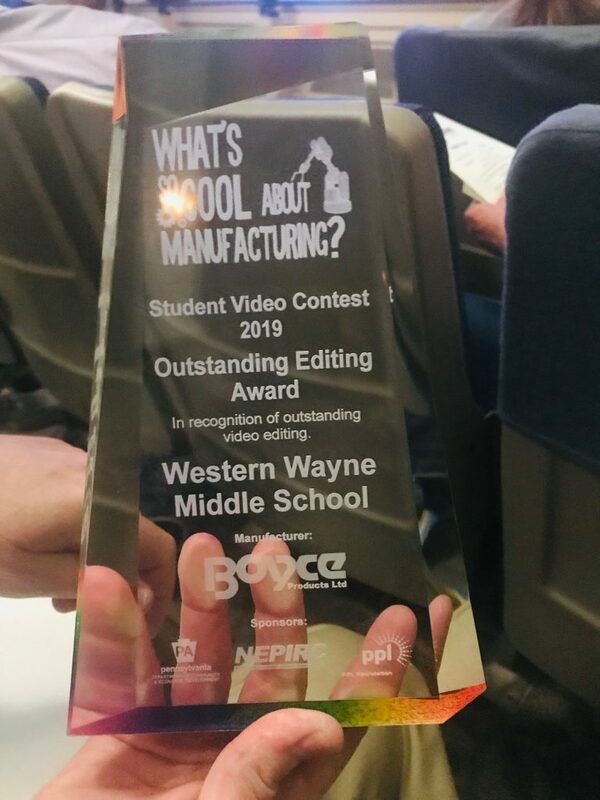 Pictured are some of the Western Wayne Middle School students involved in the 2019 “What’s So Cool About Manufacturing?” Northeast PA Contest. From left: Trinity Foulds, Alaina Maiocco, Ella Pavlovich, Kailey Tickner, Julie Bryan, Skylar Long, and Evan Peirce. Team members not pictured: Bernie Roedel and Ivan Knecht.